Badger Youth Long Sleeve Performance Tee features an athletic cut with self fabric collar. 100% polyester. Available in Navy. Please select option for Badger Youth Long Sleeve Performance Tee-Navy. Toddler/ Kid's Long Sleeve Jersey Tee features a soft sewn elbow patch. 50 polyester/50 cotton. Available in Navy Heather. 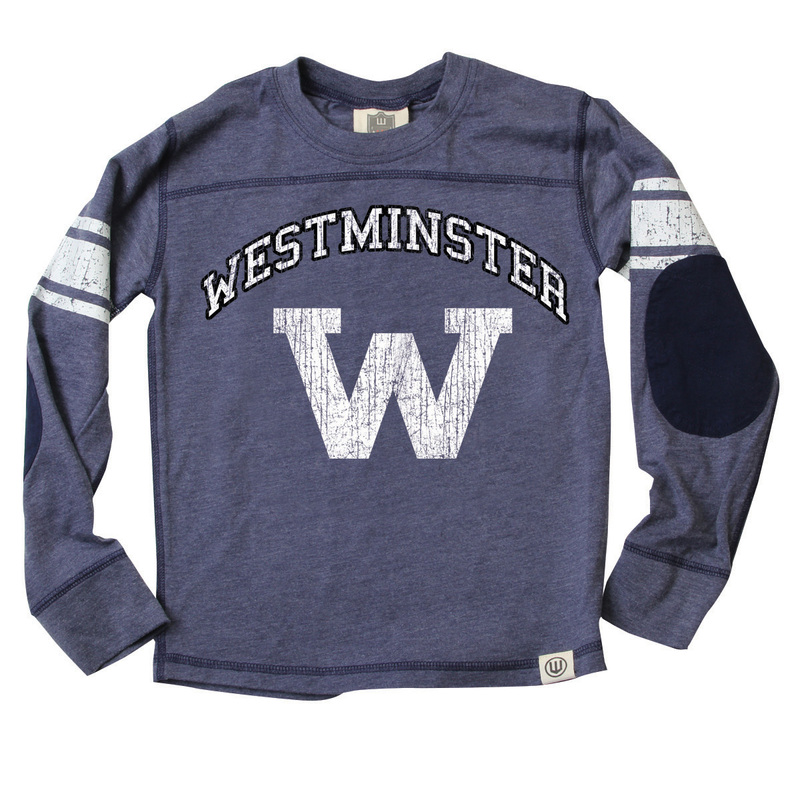 Please select option for Toddler/Kid Long Sleeve Jersey with Elbow Patch-Navy Heather. Youth Long Sleeve Jersey Tee features a soft sewn elbow patch. Small=8, Medium=10-12, Large=14-16, XL= 18-20. 50 polyester/50 cotton. Available in Navy Heather. Please select option for Youth Long Sleeve Jersey with Elbow Patch-Navy Heather. 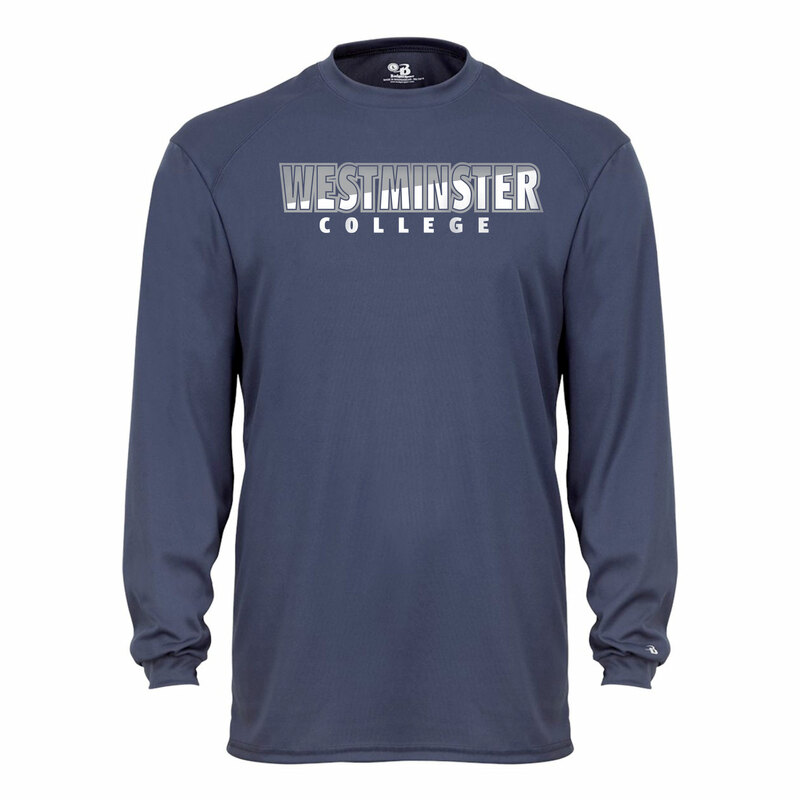 Nylon mesh football jersey with Westminster and the number 1 screen printed on front and back. Available in navy. 100% nylon. Please select option for Toddler's Football Jersey. Please select option for Youth Football Jersey. Toddler/Kid's French Terry Pant has soft elasticized waistband with ribbed cuffs at ankle. 100% cotton. Available in Navy. Please select option for Toddler/ Kid's French Terry Pant-Navy. Ultra soft and snuggly full zip sweatshirt has front pouch pockets with soft ribbed cuffs and bottom. Sturdy plastic zipper. 17% cotton/ 83% polyester. Available in Navy Heather. 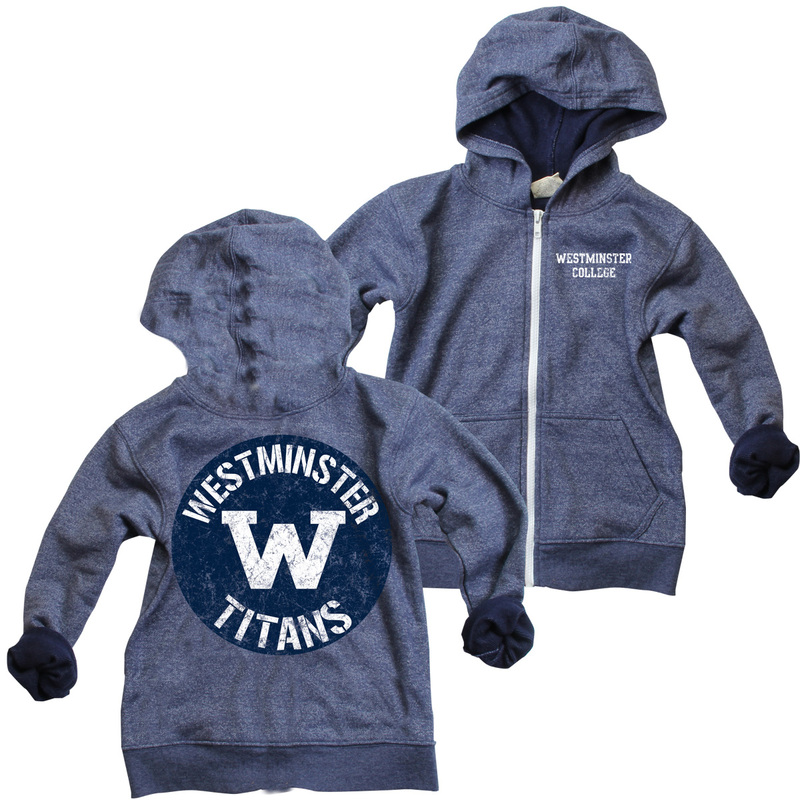 Please select option for Toddler's Jersey Blend Full Zip Hoodie-Heather Navy. Please select option for Kid's Jersey Blend Full Zip Hoodie-Heather Navy. Ultra soft and snuggly full zip sweatshirt has front pouch pockets with soft ribbed cuffs and bottom. Sturdy plastic zipper. 17% cotton/ 83% polyester. Small=8, Medium=10-12, Large=14-16, XL= 18-20.Available in Navy Heather. 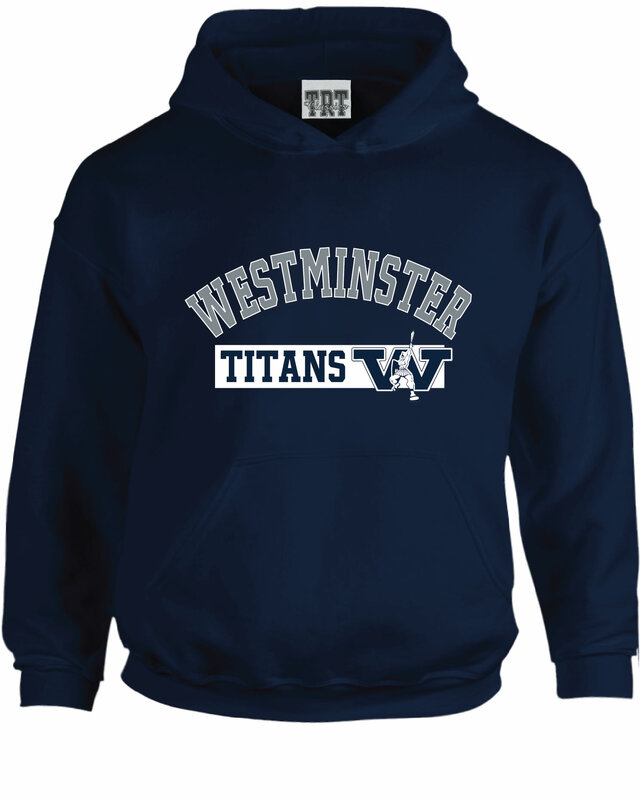 Please select option for Youth Jersey Blend Full Zip Hoodie-Heather Navy. Champion Youth Powerblend hooded sweatshirt features classic kangaroo pouch pocket with screen print lettering. 50% cotton/50% polyester. Available in Granite Heather Gray. Please select option for Champion Youth Powerblend Hoodie-Dark Gray. 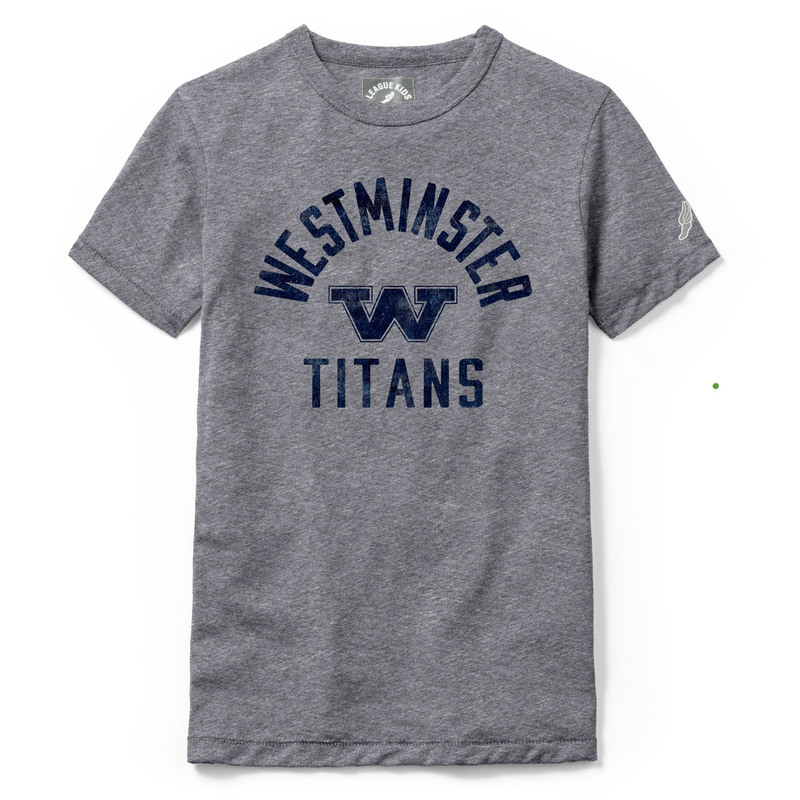 League Youth Short Sleeve TriBlend Tee is a classic made of comfortable, soft jersey. 50 Cotton/37 Poly/13 Rayon. 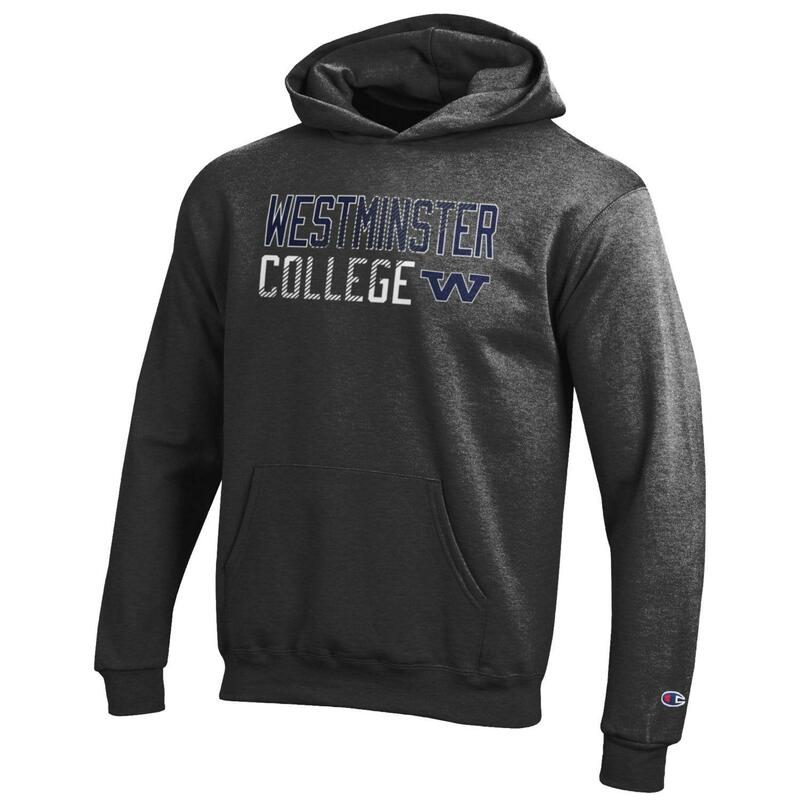 Available in Dark Heather Gray. Please select option for League Youth Short Sleeve TriBlend Tee-Dark Gray. Ouray Youth Long Sleeve Performance "GET'M TITANS" Tee features ultra tight knit that resists snagging. 100% polyester. Available in White. Please select option for Ouray Youth Long Sleeve Performance Tee-White. TRT Classic Youth Hoodie is constructed of mid-weight fleece with screen print logo. 70% Cotton/30% Polyester. Available in Navy. Please select option for TRT Classic Youth Hoodie-Navy.